*****CARFAX CERTIFIED***** This is a super clean and very well maintained 2013 Honda Pilot EX 4X4 with 116K 1 owner miles. This 7 passenger Pilot has it all including rear view camera, remote starter, automatic transmission, alloy wheels, keyless entry system, power seats, 3rd row seat and much more. This super clean Pilot is fully serviced and ready to go so dont snooze on this suv, give us a call at 508-697-9800 and we can answer any other questions you may have at that time. 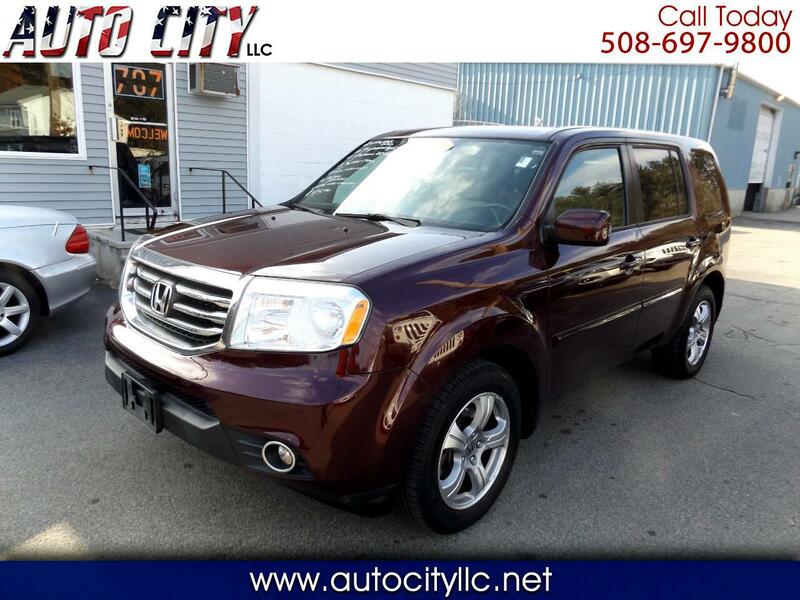 Visit Auto City LLC online at autocityllc.com to see more pictures of this vehicle or call us at 508-697-9800 today to schedule your test drive. We are a family owned and operated small town car dealership that prides itself on full transparency and very friendly atmosphere. We offer free Carfax reports with all our vehicles and offer extended service plans on just about every car we sell. We also offer low no haggle internet prices which will make this 1 of the easiest buying experiences you will every have. The only fee that we charge is a $300 documentation and title fee that goes on top our advertised price.